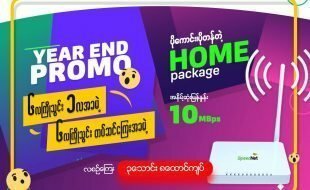 True Net is a Wireless ISP or WISP in Yangon. As discussed in a previous post, it does not seem to be full-fledged and does not own its public IP or AS Number. True Net is more likely retailing a bulk of bandwidth from one of the major ISPs in Myanmar. 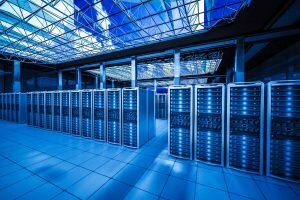 True Net offers very attractive volume based packages (with a volume allocated per day). 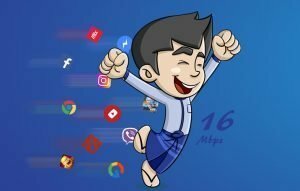 As we will find out in a future post, it is one of the most attractive Internet plan in Myanmar (even compared to mobile operator data plans). Technology-wise, True Net uses WiFi Point to Multipoint in 5Ghz as most of the WISP in Yangon. This technology is cost-effective but subject to interference. As the number of ISPs is growing in Yangon, there is a rising risk of service degradation on WiFi broadband access. 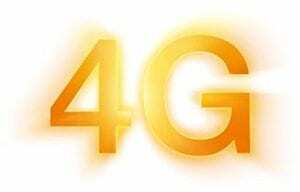 If you subscribe to one of the wireless ISPs in town, make sure their customer service is reactive and helpful, you may have to contact them from time to time. True Net availability is currently limited to Yangon. 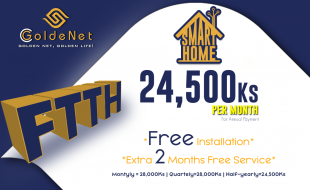 Regarding installation fees, True Net charges a flat fee of 100,000 MMK. This is the minimum charge for installation. Any additional accessories or extra cable will be charged to the customer. It is highly recommend to ask True Net a preliminary survey with a formal quote to avoid any bad surprise after installation. NB: This information has been collected from non-official (social networks, word to mouth) and official sources (official communication channels and mistery shopper). May some of the above information be false or incomplete, we encourage every service provider to contact us. Our objective is not to promote one Internet Service Provider against the others but to provide the most accurate and extensive source of information on the Internet market in Myanmar.